Columinate has published its latest annual digital banking report, revealing the state of the current digital banking landscape in South Africa – including worrying new scam trends. According to the group’s report – which is based on the responses of over 13,000 South African e-bankers to gauge their behaviours and experiences when using digital platforms – there is a growing preference among users to use apps for their banking needs. This includes doing anything they can to avoid having to go to a bank branch – from applying for new bank cards, opening new accounts, or even getting recent bank statements. “It makes sense for the banks to focus on creating a secure, well-rounded service offering through their mobile banking applications,” the group said. However, with the growth in using digital channels, security problems have also cropped up. “It’s discouraging to discover that digital banking fraud is at an all-time high, and there’s been a steady increase in this trend over the last four years,” the group said. While SITEisfaction recorded a marked increase in the awareness of potential fraud and scams across the board, 22% of users still fell victim to these criminals in the last year, up from 19% in 2017, 14% in 2016, and 12% in 2015. 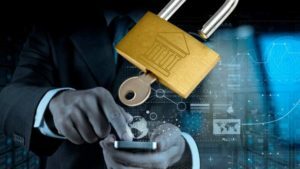 “When it comes to the world of mobile banking, security ought to be the utmost priority and concern – as technological counter-measures evolve, so do criminals. While a handful of banks did take the initiative to educate their customers on the looming threats, the message is far from reaching saturation in the South African market,” Columinate said.